What a great tragedy and sadness it is when the Body of Christ must shepherd a rogue and heretical Pope. 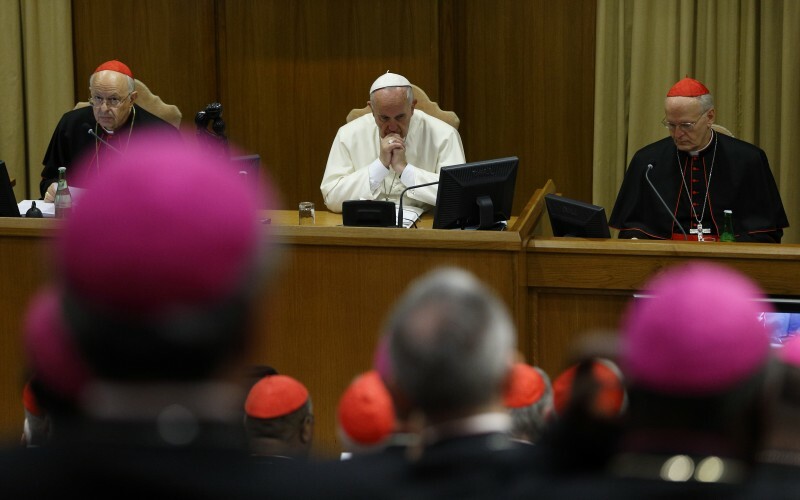 More than 500,000 people, including five cardinals, have signed a petition asking Pope Francis to reinforce Church teaching on marriage and the family at the synod of bishops in October. The petition, launched by Catholic student association TFP Student Action and backed by 25 pro-family groups around the world, was posted on the organisation’s site in late January. It has since been signed by five cardinals, 117 bishops and hundreds of civil leaders, in addition to the thousands of university students it was aimed at. The cardinals who are signatories are Cardinal Raymond Burke, Cardinal Jorge Medina of Chile, Cardinal Ricardo Vidal of the Philippines, Cardinal Alexandre José Maria dos Santos, Mozambique, and Cardinal Jānis Pujats of Latvia.